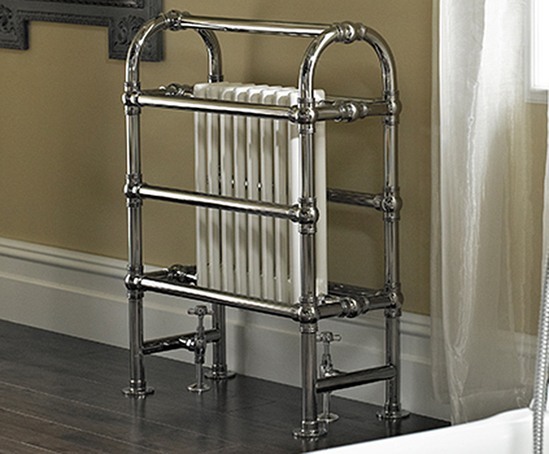 The LG014 radiator/heated towel rail is part of the Vogue Traditional Collection and is particularly suited for use in period-style bathrooms. 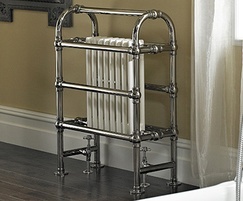 It has an elegant, mild steel design that combines a multicolumned radiator with a towel rail. It can be specified in a choice of any RAL colour. It is can be installed on central heating only systems, electric only systems or dual energy systems. The LG014 has a 10-year guarantee.